Customer experience professionals can actually learn something from Ryanair's nightmare few weeks, says Tim Pritchard, managing director of customer experience, Kantar TNS. 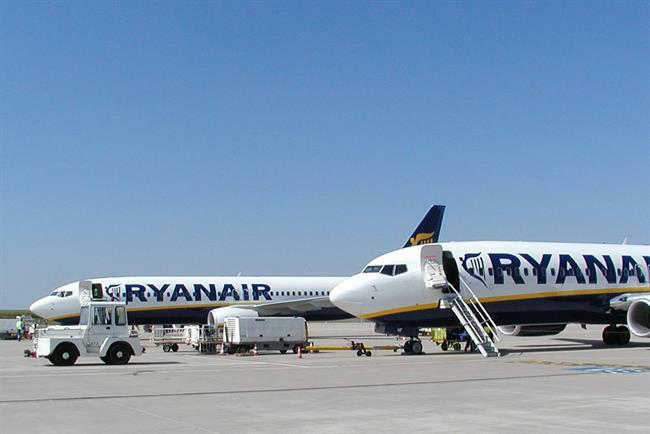 There will no doubt have been a collective intake of breath from customer experience professionals everywhere after Ryanair announced several rounds of cancellations affecting over 700,000 passengers. The airline’s response to cancelled flights and rebellious pilots represented a rejection of the importance of CX – something that most customer-facing companies would consider unthinkable. Flying in the face of conventional wisdom, the airline’s chief executive Michael O’Leary seemed relatively unconcerned about the plight of his customers, and the impact this incident could have on the company’s bottom line. Admittedly, this approach has been the company’s modus operandi for years. Short-sighted as it may be in an industry dogged by disruption, what Ryanair’s response highlights is the incredibly broad spectrum of approaches to CX. Apparent indifference sits at one end, while at the other we see whole teams poring over every moment of the customer journey, and investing equally in improving each. Be honest – while it is near impossible to avoid an immediate loss of confidence, admitting your error and doing everything you can to solve the problem can help ensure a speedier restoration of faith. But avoid hollow words. Consumers are savvy and soon grow weary of promises that something will "never happen again" – particularly if you’re dealing with an issue which may well happen again despite your best efforts. Brands also need to pick their battles. Rise above some of the inevitable noise that accompanies a high-profile failure. Avoid the temptation to respond to every attack, making sure you get across what you want to say rather than forever responding to others. Don’t be afraid to remind your customers of what you do well. There is a fine line to tread between confidence and arrogance, but once you’ve taken every step to rectify the mistake it’s time to move on and focus on doing better in future. But what does ‘better’ look like in CX terms? Following a crisis, many teams’ first instinct will be to try to perfect every stage of a customer’s journey to make up for what has gone before. However, this slavish devotion to perfection could be almost as damaging as Ryanair’s avoidance strategy. This is because not every interaction in the customer journey matters: prioritisation is key. Failing to prioritise in an effort to overcompensate leads directly to wasted time, energy and resources. For example, we recently worked with a telecoms provider looking to improve its customer journey and boost its net promoter score (NPS). We first demonstrated that customer support was a key driver of NPS – so far, so straightforward. We then went one step further and determined that speed, ease of access and helpful staff were also important, all indirectly driving NPS. Had we stopped there, the CX team’s efforts would have been equally divided between these three drivers. Instead, through further analysis we established that helpful staff was the most important determinant of NPS – although it wasn’t a direct driver, it underpinned everything else. The temptation for the business would initially have been to focus on speed and ease of access – probably ending in an overhaul of its processes – but in fact what we found was that simply investing in obliging staff would likely soften any issues around speed or access. This allowed the team to prioritise, focusing its energy where it could enhance CX and maximise commercial ROI for the brand. In many cases if this primary concern is correctly identified and swiftly addressed, secondary issues may also recede. Don’t let perfect become the enemy of good: CX teams need to view each element of their customer’s journey critically and question whether an improvement in one area will make any real difference. We have found that some moments simply matter less than others – crisis or no crisis. Businesses need to identify these factors and be brave enough to move them down the priority list so they can focus their efforts and resources elsewhere. Will the Ryanair flight cancellation crisis do permanent damage to the brand?